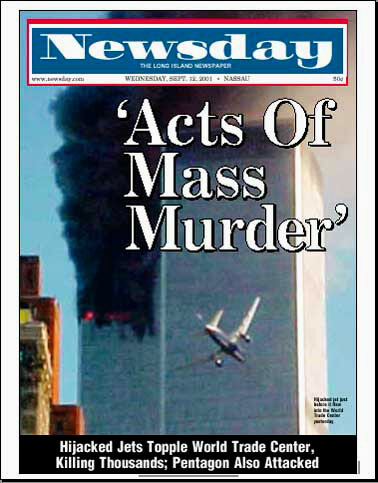 “Acts of Mass Murder.” That is how how the September 12, 2001, “Newsday” headline read…and mass murder was exactly what happened on September 11th. I have had innumerable discussions about 911, its causes, the mindset of the terrorists, etc, but what happened was very clear: CRIMINALS plotted together to murder people. And then they went out and murdered. At its most basic level, that is what happened on September 11th.